Announcements | Hire a UW-Madison Musician! The La Crosse Symphony announces the following openings for the 2015–2016 season. Please contact the Personnel Manager for additional audition information. Resumes must be emailed no later than Monday, September 14, 2015. The La Crosse Symphony Orchestra, is located in La Crosse WI, performs 6 subscription concerts, one children’s concert and one summer pops concert per season. Our performance venue is on the campus of Viterbo University in The Fine Arts Center. We are looking for a trio/quartet for our wedding ceremony on Sunday, June 28, 2015 at 4:30–5:30 p.m. at the Madison Museum of Contemporary Art Rooftop Sculpture Garden (adjoining Fresco Restaurant). We are interested primarily in strings or a combination of strings/winds. We would like to have 2-3 pieces played for the ceremony for a total 1 hour engagement. Purdue Musical Organizations, Purdue University, has an opening for an Assistant Director for the Purdue Varsity Glee Club for the upcoming school year. We are looking for a dynamic, energetic individual who is a skilled accompanist and arranger and is eager to work with and be a part of a talented team of students and staff. The salary and benefits are very competitive. If you or anyone has any questions relating to this position, do not hesitate to email William Griffel, the Director of Purdue Musical Organizations and the Director of the Purdue Varsity Glee Club at: wgriffel@purdue.edu. I would also encourage any interested candidates to visit our website at: www.purdue.edu/pmo to read more about our program. Any interested candidates should visit the Purdue Careers site at www.purdue.edu/hr/careers/opportunities/index.html to apply for the position; click on the staff positions link and look for job listing: 1500639. Purdue is an EEO/AA employer. The Argyle School District is seeking applicants who possess the passion and dedication to provide a quality vocal and instrumental education to students in Grades K-12. This position is comprised of K-5 general music instruction and middle/high school instruction (choir and band); the position can be either a 1.0 FTE or could be split into two (each at 0.5 FTE). Qualified candidates will possess a strong knowledge of vocal and instrumental fundamentals, as well as the ability to utilize differentiated instruction to plan engaging lessons. Candidates should be able to offer individual instruction on variou instruments, conduct band/choir rehearsals, and organize school concerts as well as student participation in contests. Candidates will also possess a working knowledge of content standards, including ELA CCSS literacy across the disciplines, display a proficiency in playing the piano or guitar, and utilize related computer programs in instructions. Flexibility and ability to work collaboratively with other staff is a must. Must have or be able to obtain WI DPI license #515 (General Music) and/or #506 (Instrumental Music) and #511 (Choral Music). Please submit an application form (located on district’s website), cover letter, resume, credentials, copy of licensure(s), a minimum of three letters of reference. Submit to Yvette Updike, Director of Business Services, Argyle Schools, PO Box 256, Argyle WI 53504. 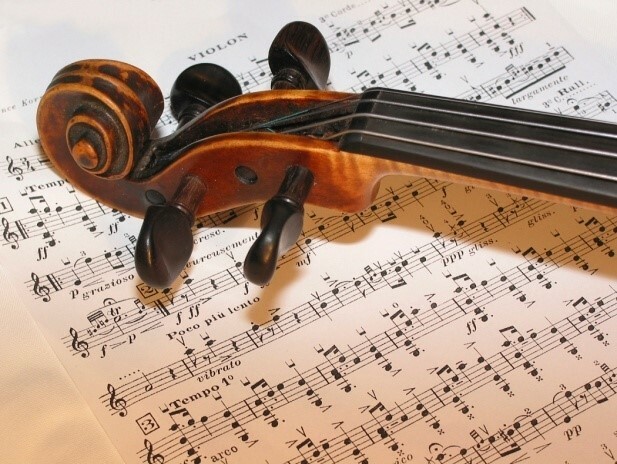 The Sheboygan Symphony Orchestra will hold auditions for Concertmaster and Principal 2nd Violin beginning at 6:00 p.m. Tuesday, May 12th at the Stefanie H. Weill Center for the Performing Arts, 826 N. 8th St., Sheboygan. The Concertmaster’s responsibilities will include marking/coordinating the bowing and articulations of the string section in accord with the Music Director/ Conductor’s requests. Our former concertmaster served as soloist with the SSO on 10 occasions during her tenure. There may be opportunities for the next concertmaster to solo. The concertmaster position may lead to the possibility of conducting full string sectionals with the SSO. The ideal concertmaster candidate will have conducting skills. She/he should be aware that a conducting position is available with the Sheboygan Area Youth Symphony Concert Orchestra. Preference may be given to a candidate with a high level of string performance and experience. Those interested in auditioning for Concertmaster should prepare a solo equivalent to or beyond the standards of the Wisconsin School Music Association Class A repertoire list. Please refer to the Sheboygan Symphony Orchestra website for the required excerpts and to fill out an audition form. You may contact the Symphony office if you need a copy of an excerpt. To schedule an audition time for the Sheboygan Symphony Orchestra please contact the Symphony Business Office at 920-452-1985 or business@sheboygansymphony.org. The Sheboygan Symphony Orchestra is directed by Dr. Kevin McMahon and was established in Sheboygan, Wis., in 1918. Today the orchestra has a roster of 68 musicians. The orchestra rehearses weekly on Tuesday evenings from 7 p.m. to 10 p.m. at the Weill Center. The SSO performs a five concert subscription series, holiday concert, and a children’s concert each year. The Symphony Chorus is also affiliated with the Sheboygan Symphony Orchestra. The Sheboygan Symphony Orchestra jointly sponsors the Sheboygan Area Youth Symphony Sinfonia and the Sheboygan Area Youth Symphony Concert Orchestra with the Sheboygan Area School District. For more information on the Sheboygan Symphony and other audition opportunities please call us at 920-452-1985 or visit us at http://sheboygansymphony.org/about/sheboygan-symphony-orchestra/sso-auditions. 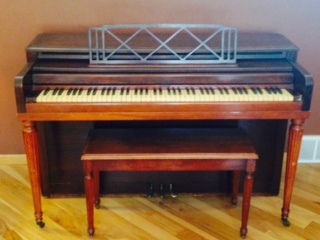 Gulbransen piano for sale! In excellent condition. 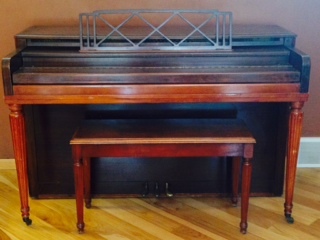 56″x 36″x 26″ $190.00 or best offer. This is a Heinrich Th. Heberlein, Jr. “Markneukirchen” (1959). It was recently appraised at $8,500.00. 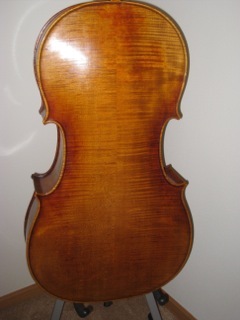 The back and neck are of a lightly figured maple with the ribs of a medium figured maple. The top is of an even grain spruce. 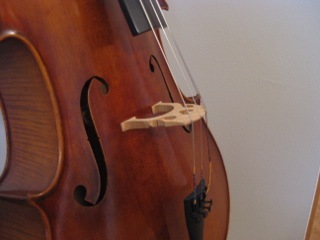 The cello is play-ready with new bridge, sound post, strings, tailpiece, and endpin. There are no chips around the edge. It has a lovely tone, and is in beautiful condition. Please contact NANCY V. at grandmasheart@charter.net with an offer! Arts Wisconsin – Call for Submissions! For the first time in several decades, the University of Wisconsin-Madison is considering the addition of a new college, the College of the Arts. 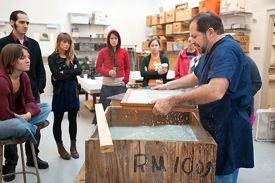 Jim Escalante, professor of art, demonstrates a paper making process during his Artists’ Books class. The initiative aims to frame a meaningful discussion of the merits, challenges, and opportunities for a more unified approach to research, practice, and performance in the arts. The proposed College of the Arts would comprise the existing School of Music and the departments of art history, theatre and drama (all currently part of the College of Letters and Science); the departments of art and dance (currently part of the School of Education) and the department of design studies (currently a part of the School of Human Ecology), as well as several administrative units. October is National Arts and Humanities Month (NAHM).